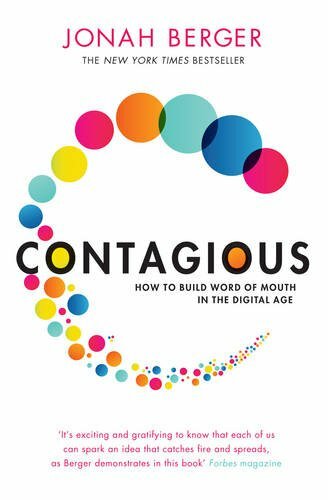 Whether you’re a major company trying to increase sales, a local restaurant trying to raise awareness, a charity trying to fight obesity, or a new politician running for local office, word-of-mouth can help you succeed. Fortunately, you don’t have to have millions of pounds to spend on an advertising budget. You just have to get people to talk.The challenge, though, is how to do that. 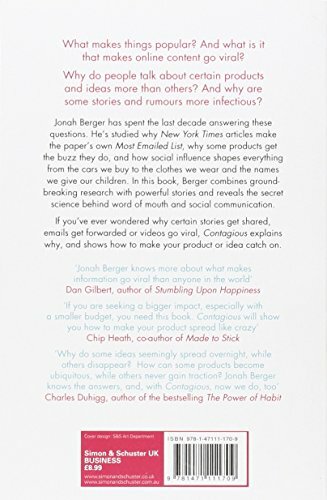 Jonah Berger explains how. Why are some products and ideas talked about more than others? Why do some articles make the most emailed list? Why do some YouTube videos go viral? Word-of-mouth. Whether through face-to-face conversations, emails from friends, or online product reviews, the information and opinions we get from others have a strong impact on our own behaviour. Indeed, word-of-mouth generates more than two times the sales of paid advertising and is the primary factor behind 20-50% of all purchasing decisions.It is between 8.5 and 30 times more effective than traditional media.But want to know the best thing about word-of-mouth? It's available to everyone.Whether you're a Fortune 500 company trying to increase sales, a corner restaurant trying to raise awareness, a non-profit trying to fight obesity, or a newbie politician running for city council, word-of-mouth can help you succeed., And you don't have to have millions of dollars to spend on an advertising budget. You just have to get people to talk.The challenge, though, is how to do that. This book will show you how.